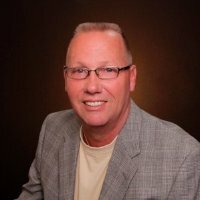 Currently holds the title of Sales Associate, he is a full time dedicated professional agent. Averaging a sale a week for the past seven years. DAN HAS ALSO RECIEVED FOR THE PAST TWO YEARS THE HIGHEST AWARD THAT REMAX INTERNATIONAL HAS TO OFFER THAT IS THE PLATIUM CLUB AWARD. DAN PRIDES HIMSELF AS A FULL-TIME DEDICATED PROFESSIONAL.